Moto Mods are here to stay. 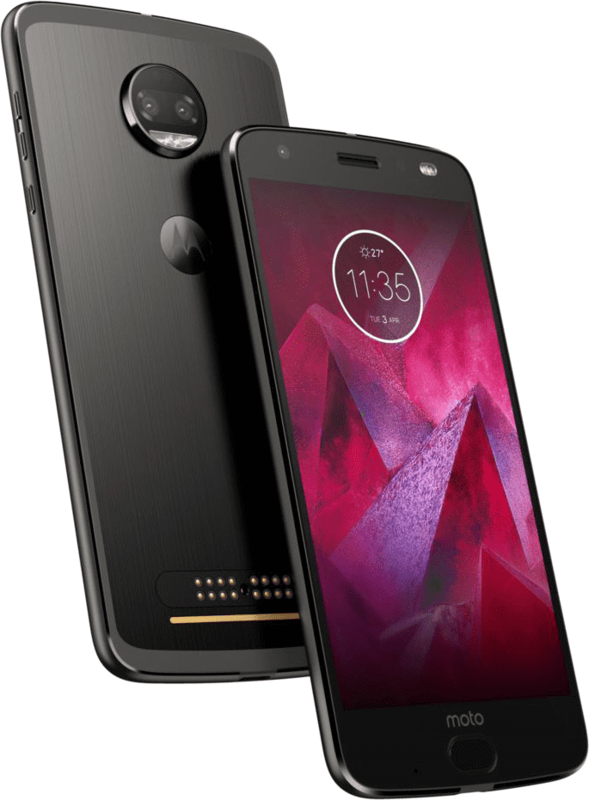 The Motorola Moto Z2 Force is a powerful phone in its own right, but its true potential is unleashed when you snap a Moto Mod accessory onto the back, which can add functionality ranging from extended battery life to 360-degree image and video capture. That said, buying multiple Mods can get costly, and on its own, the Z2 Force doesn’t offer anything particularly special. For the complete package out of the box, the Samsung Galaxy S8 offers the best you can get when it comes to design, hardware, and features, and remains our Editors’ Choice. Available in black, gold, and gray (the latter is exclusive to T-Mobile), the Z2 Force sticks to the same design formula as the Z2 Play released earlier this year. 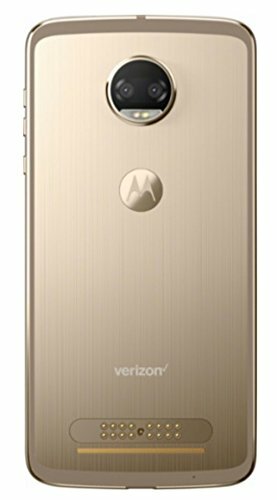 It shares the all-metal build, protruding rear camera, and magnetic attachment points for Moto Mods on the back. Although support for Moto Mods is what makes the phone unique, it also forces it to use a design that looks a bit dated when placed next to the gorgeous, bezel-free Galaxy S8. Measuring in at 6.13 by 2.99 by 0.24 inches (HWD) and 5.04 ounces, the Z2 Force is slimmer and lighter than last year’s Z Force Droid (6.14 by 2.98 by 0.27, 5.74 ounces). Of course, we’re talking about only fractions of an inch here, so your hand isn’t likely to notice much of a difference. Compared with the tall and narrow Galaxy S8 (5.86 by 2.68 by 0.31 inches, 5.47 ounces), the Z2 Force is not as easy to use with one hand, especially when you’re using a hefty Moto Mod. On the right side (shown below) are volume buttons and a ridged power button. The top has a SIM/microSD card slot that worked fine with a 256GB card. The bottom has a USB-C charging port. Like its predecessor, the Z2 Force lacks a headphone jack; you’ll have to use the included dongle or Bluetooth headphones. Easy-to- scratch plastic display cover. No waterproofing or headphone jack. The bottom bezel is home to a fingerprint sensor. Using Moto Actions, you can enable One Button Navigation, which allows you to use swipe gestures on the fingerprint sensor in place of onscreen navigation buttons. Other Actions include chopping the phone with your hand (lightly) twice to turn on the flashlight, and twisting your wrist to activate the camera. Motorola’s custom voice commands are also built in, so you can say “show me” as an activation phrase to access information about your calendar, the weather, and various apps. It works fine, but it doesn’t differentiate itself from what Google Assistant already offers. The Z2 Force is covered in a water-repellent coating that can withstand rain and splashes, but it isn’t fully waterproof, as are the Galaxy S8 and many other flagships on the market. The phone’s 5.5-inch Super AMOLED display is covered with shatter-resistant plastic. It withstood several drops on the hard rubberized floor in PC Labs as well as some drops on a wooden deck outdoors without cracking, though the plastic coating picked up scratches quite easily. The Moto Z2 Force Edition has a 5.5-inch Quad HD Super AMOLED display that easily surpasses 1080p displays. The display features 2,56o-by-1,440 resolution that works out to 534 pixels per inch (ppi). It’s just about as sharp as the Galaxy S8’s screen (570ppi), and easily surpasses 1o8op displays like you find on the OnePlus 5 (401ppi). Because it’s AMOLED, you get dense, inky blacks and rich, saturated colors along with excellent viewing angles. The screen doesn’t get quite as bright as the Galaxy S8, but it’s still easily visible outdoors. In direct sunlight, however, the plastic layer is a bit reflective and highlights the scratches. Under Display Settings, you can choose between Standard or Vibrant modes to change the color saturation. One interesting option lets you reduce blur when the device is in VR mode, possibly hinting at a future Moto Mod. Other display features include One-Handed mode, which shrinks the screen down to one corner to make it easier to reach across with your thumb, and Split Screen mode, which lets you run two apps side by side. Active Display shows you the date, time, and notifications, and gives you access to media controls automatically when you pick up the phone. And Night Display adjusts the screen’s color temperature at night to reduce the blue light that is said to impact your sleep. Moto Mods, the collection of modular back panels developed by Motorola and third parties, are evolving. There are now nearly a dozen Mods to choose from, including the Moto TurboPower Pack battery, the InstaShare Projector, and the Hasselblad True Zoom Camera. The new Moto 360 Camera lets you capture photographs and 4K video from all angles. Moto Mods are the most intuitive modular phone accessory platform we’ve seen to date. They snap right onto the back of the Z2 Force magnetically, and the phone instantly recognizes which one it is and reacts accordingly. Most of them aren’t cheap, however, so keep that in mind before buying in. 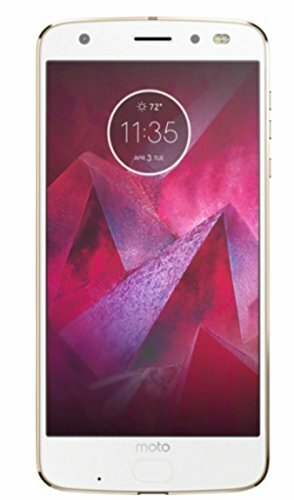 The Moto Z2 Force Edition is available on all major U.S. carriers, with a GSM unlocked version for AT&T and T-Mobile, a Sprint model, and a Verizon model. The Verizon phone we tested supports LTE bands 1/2/3/4/5 /7/812/13/17/20/25/26/28/66. We recorded excellent network performance in midtown Manhattan, with a top speed of 44.5Mbps down and 35.2Mbps up. Because the phone has a Snapdragon 835 processor, it’ll support gigabit LTE once it starts rolling out. Because the phone has a Snapdragon 835 processor, it’ll support gigabit LTE once it starts rolling out. The phone also supports dual-band Wi-Fi (2.4GHz and 5GHz), NFC, and Bluetooth 4.2. According to Motorola, it will use Bluetooth 5.0 after the Android O update. Call quality is great. Transmissions have a clear, natural tone and noise cancellation is excellent. As with the Z2 Play and G5 Plus, the earpiece doubles as a speaker. It’s very loud for phone calls but rather tinny for everything else. If you’re concerned about audio quality, remember the JBL SoundBoost 2 Moto Mod is available for $79.99. The Moto Z2 Force is powered by a Qualcomm Snapdragon 835 processor clocked at 2.35GHz, the same as you’ll find in most current flagship phones. It scored 167,568 on the AnTuTu benchmark, which is a measure of overall system performance. That’s actually a bit faster than the Galaxy S8 (158,266) because of a lighter UI layer. With 4GB of RAM and a minimal skin, multitasking is a breeze, and you won’t notice any slowdown or stuttering when switching between apps. Demanding games like GTA: San Andreas also run without issue. Battery life is equally strong. The phone clocked 7 hours, 57 minutes in our battery rundown test, in which we stream full-screen video over LTE at maximum brightness. That’s longer than the Galaxy S8 (5 hours, 45 minutes), the LG G6 (5 hours, 57 minutes), and the HTC U11 (7 hours, 1 minute). If you need even more juice, you can snap on the Moto TurboPower Pack Mod to add a 3,490mAh battery that should more than double your usage time. The phone also supports proprietary fast charging, and we were able to charge it to full in a little over an hour. Multitasking is a breeze, and you won’t notice any slowdown or stuttering when switching between apps. Dual-sensor cameras are all the rage these days, and fittingly, the Z2 Force has two 12-megapixel rear sensors. One is a regular RGB sensor, and the other is monochrome, similar to the setup on the Honor 8. This combination lets you control depth of field to create a bokeh effect that blurs out the background while highlighting the foreground, or to shoot in true black- and-white without resorting to desaturating color information the way single-sensor phones do. Overall, the Z2 Force stacks up quite nicely against the Galaxy S8, which we consider to be the best camera phone on the market. Test shots taken outdoors and in good lighting were excellent, with plenty of detail and minimal noise. The main difference appears in color reproduction—the S8 has darker, more saturated greens, while colors on the Z2 Force skew a bit more yellow. Since both phones offer manual controls, these are things you can tweak by adjusting the ISO and white balance settings. The real test comes in lower lighting. In a head-to-head comparison outdoors on a cloudy day and indoors, the S8 narrowly edges out the Z2 Force in terms of detail and color accuracy. The S8 also focused and snapped pictures faster and with less lag between shots. The Z2 Force was noticeably jittery when panning around, but video quality was still strong overall. Video recording showed the biggest differences. With both phones recording 4K video at 30fps, the S8 was more stable, benefitting from optical image stabilization. The Z2 Force was noticeably jittery when panning around, though video quality was still quite strong overall. 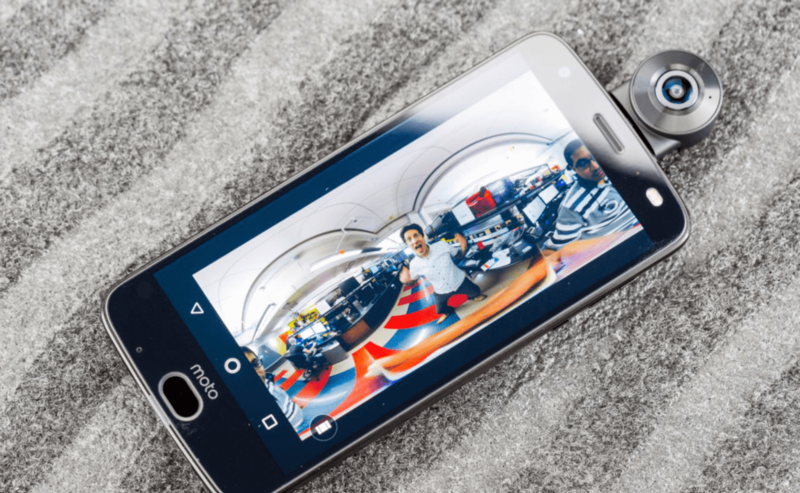 The Moto’s 5-megapixel front-facing camera takes good shots. Its resolution isn’t as high as the 8-megapixel sensor on the S8, but quality is comparable overall. And once again, don’t forget about the Moto Mods. The aforementioned Moto 360 Camera and Hasselblad True Zoom add advanced imaging functionality you simply can’t expect out of a phone itself. The Z2 Force comes running Android 7.1.1 Nougat, and Motorola has confirmed it will receive an update to Android O in the future. The company has applied a custom UI layer, but aside from Moto Mod support and the core Moto features mentioned earlier (Moto Actions, Moto Display, and Moto Voice), this is a relatively pure Android experience. Bloatware is another matter. Verizon has preloaded a dozen of its own apps onto the phone. Out of 64GB of internal storage, you’re left with 40.9GB available for use. That’s plenty for apps and photos, but if you’re planning to record a lot of 4K video, you might want to add a microSD card.